With the rapid urbanization and industrialization taking its toll on the planet’s forest cover, it is not surprising that only a few countries can flaunt their natural beauty and claim to be rich with flora and fauna. One such country is India. Through its various projects, wildlife sanctuaries and national parks, it has successfully created a safe haven for many of its plant and animal species. Many of these are World Heritage Sites. So, if you visit India, here are the top 5 national parks you need to drop at to have a tryst with nature. If you want to see sprawling green landscapes, grasslands, marshes and riverine belts, combined with various plant and animal genus, you are at the right place. This is the oldest national park in India, named after Sir Jim Corbett, who played an important role in its establishment. The park is a safe breeding ground for 488 varieties of shrubs and 4/2 legged creatures, including the endangered Bengal Tiger. It sits on 201.1 sq. miles of area, 73% of which is forests, constituting 110 tree species, 50 genera of mammals, 580 of birds and 25 of reptiles. Impressive, isn’t it? Well, you have been saved the trouble of traversing the huge area as only select regions of the park have been opened for tourism by the Uttrakhand Government. But rest assured, there is just SO much to see that your eyes will tire out! Welcome to the home of the great One-Horned Rhinoceros! 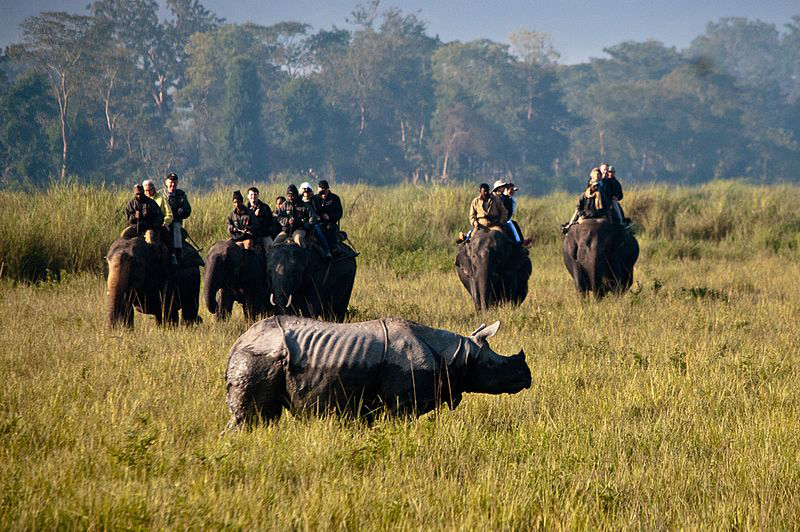 Kaziranga National Park is one of the most notable World Heritage Site, famous for protecting 2/3rd of the world population of the one-horned rhino. 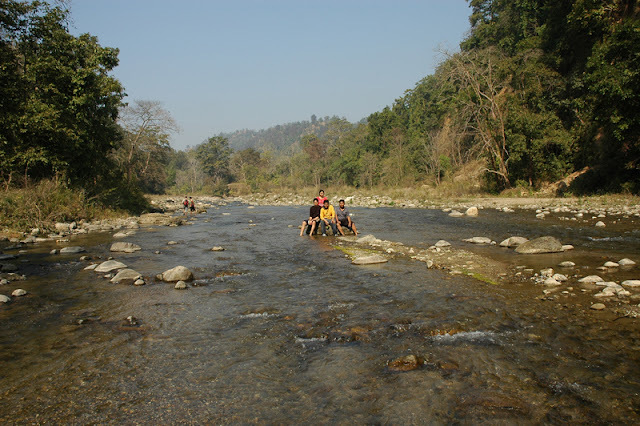 It is one of the prominent places to visit in Assam. Apart from this, it is also a tiger reserve. The majestic beast has the greatest density here among all the protected areas of the world. So better keep your camera ready! It is also acknowledged as an important bird area for successfully conserving avifaunal species. What’s more, it houses a good population of elephants, Wild Water Buffaloes, and Swamp Dear. Quite a package! Coming to the leafy part, it boasts of tall elephant grass, tropical moist leaf forests and marshlands, irrigated by four chief rivers (involving Bhramaputra). In comparison to other national parks, Kaziranga has been the most successful in protecting and breeding endangered species. All the shutterbugs to stay alert! 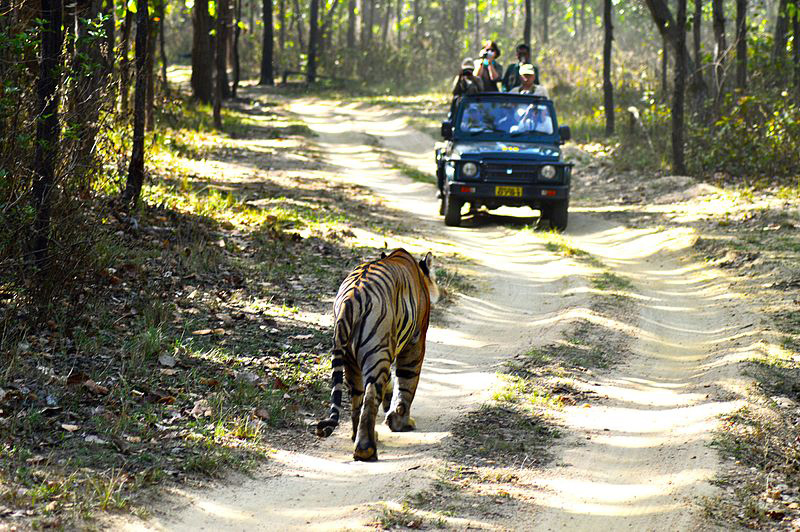 Get ready to travel across the largest national park of Central India. 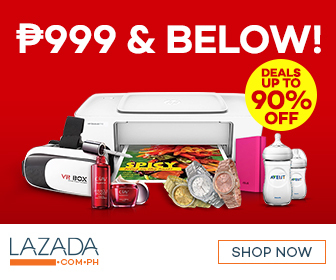 Spread out over a vast area of 940 sq. Kms, with buffer zone of 1,067 sq. Kms, the Kanha National Park is filled with a substantial variety of plants and animals. With tigers on the top, the place flourishes with many species of Deer, Leopards, Sloth bears, Barasingha, wild dogs, wild cats, foxes and jackals. It also has a number of meadows and flat expanses of land acquired when the villagers translocated to make space for the animals. Amongst its trees and shrubs, it is an interesting mix of rich Sal, dry deciduous tropical and contrasting bamboo, along with many species of grass, climbers, shrubs and herbs. The amazing beauty of the park was an inspiration for Sir Rudyard Kipling’s Jungle Book. So, you can imagine what a real treat it is going to be for you! Parallel to the great Ganges sits the home for the largest population of The Royal Bengal Tiger. 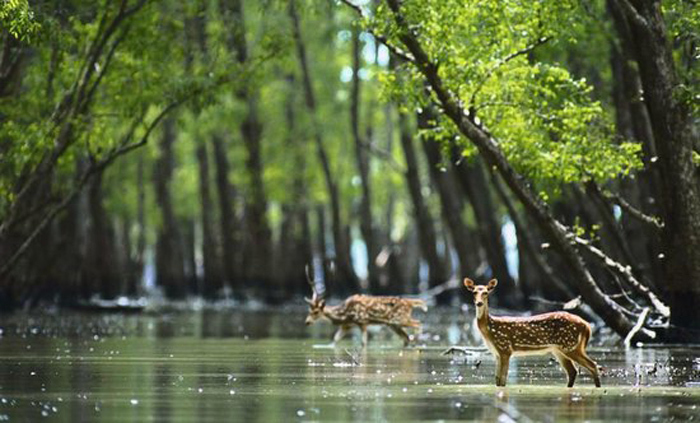 The Sundarbans is interspersed with a network of water bodies fed by 7 main rivers. Due to the various effects of the tides, the geography of the place is very uncertain. While sometimes a huge area is submerged under water, the deposition of silt along the banks of rising beds forms new creeks and islands. It stocks a huge species of plant and animal life, which is why it is also a Biosphere Reserve. The world heritage site is home to more than 400 tigers, exquisite species of fishing cats and leopard cats, macaques, wild boars and also Salt water crocodiles. The most attractive feature are the mangrove trees, found only in West Bengal, which lend a special and exotic appeal to the place. Feel privileged to be admitted to the only home of the Asiatic Lions! 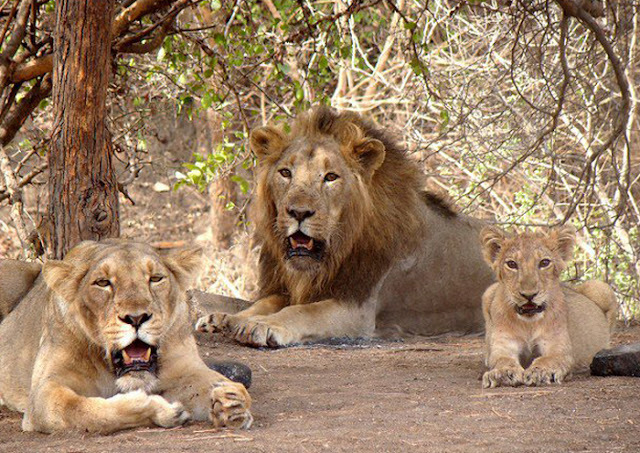 The forests of Gir are among the world renowned tourism spots of Gujarat. They are a protective breeding grounds of the stately beasts. But apart from them, it also swanks 2375 discreet species of flora and fauna, amongst which 300 are of birds, 38 of mammals, 37 of reptiles and more than 2000 of insects. The leopard, cobras, Golden Jackals, Striped Hyenas and Honey badgers are to name a few creatures that can be sighted. The trees are of Acacia and Teak, Jamun, Babul, Flame of the Forest, Sisyphus, Tendu and Dhak. There also grow more than 400 species of plants. Although a particular area is not designated for tourists to visit, an interpretation zone has been created to showcase all the types of habitats and wildlife, with feeding and living cages for the animals. This is located within the sanctuary itself. Author’s Bio: Himanshu is a seasonal trekker and a wildlife enthusiast, associated with a number of animal welfare NGOs and organisations. He likes to maintain a record of all the new plant and animal species he comes across, and is an avid photographer. He has been regularly associated with Pearls India Tour. While not on his feet visiting new places, he likes to play piano and enjoys gardening.